Recently, Doctor Peng Di, a young teacher from the Chongqing college criminal science technology key lab which nurtured and developed by Southwest University of Political Science & Law, has gained the newest research achievements in the field of latent fingerprints revealing of carbon-based luminescence new material. This achievement is named “A Novel Monodisperse Sio2@C-Dot for the Rapid and Facile Identification of Latent Fingermarks by Self-Quenching Resistant Solid-State Fluorescence”, and has been published in the Dalton Transactions which is the subsidiary journal of Royal Society of Chemistry ( The average influence factor in 3 years is 4.134, Top in the section 2 of Institute of Chemistry, Chinese Academy of Sciences (CAS) , Chemistry, Inorganic & Nuclear section 1). 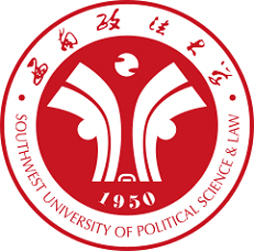 It is the highest published SCI paper in Southwest University of Political Science & Law so far. The paper is an innovative result of research direction of new technology of trace inspection in key laboratories.As is known to all, new fluorescent materials represented by graphene and carbon quantum dots have characteristics of high fluorescence intensity and high quantum efficiency. They are also environment-friendly and good biological compatibility. However, the main problem it's facing is the luminescence quenching due to fluorescence resonance energy transfer of the aggregation state, which confines the application of carbon dots in handprint visualization. This study use silica microspheres as carriers and dispersants. The carbon dots are fixed through chemical bonds on the surface of the silicon spheres by means of in situ growth. So that It can not only prevent the aggregation quenching of carbon dots, but also facilitate the separation and purification of carbon dots powder. The quantum efficiency of the prepared carbon dots solid reaches as high as 67.85%. Under the evaluation of automatic fingerprint identification system, the old handprint recognition rate of this new type of silicon ball carbon dots is higher than that of commercial fluorescent powder 22.2%, 502 Glue fuming method 29.2%, magnetic powder 47.2%. This method is simple in preparation, Low cost and small toxicity, which has potential practical application value.